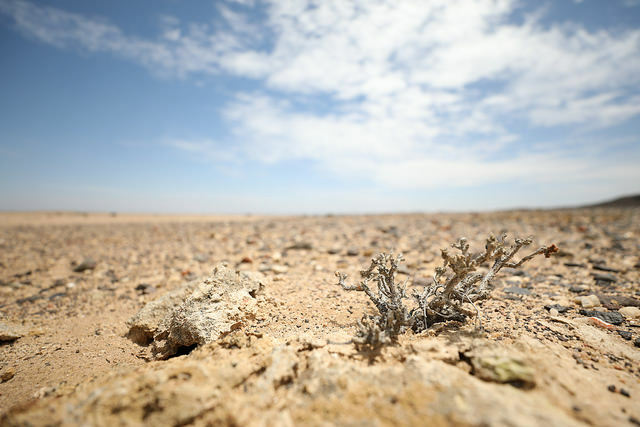 GEORGETOWN, Feb 01 (IPS) - The United Nations Convention to Combat Desertification (UNCCD's) Drought Initiative is in full swing with dozens of countries signing up to plan their drought programme. "As of right now we have 45 countries who have signed on to our drought programme," UNCCD Deputy Executive Secretary Dr. Pradeep Monga told IPS. "Drought is a natural phenomenon. It's very difficult sometimes to predict or understand when it happens or how it happens. Yes, prediction has become better with the World Meteorological Organisation (WMO) so we know in advance that this year there can be more drought than last year so we can prepare communities better," Monga said. "They can also preserve their traditional practices or biodiversity, and most importantly, they can help in keeping the land productive," Monga said. "This is also important to migration – whether it's migration of people from urban areas to borders and then to other countries and regions. We believe that addressing drought, preparing communities, governments, policymaker and experts better in drought becomes very relevant for addressing those issues which otherwise will have cascading effects." "That will now allow for them to have potable water all year round and that's a major development for those communities," Harmon told IPS. "Here in Guyana we speak about the Green State Development Strategy and part of our promotion is that we speak about the good life for all Guyanese. So, when we are able to provide potable water to a community that never had it before, then to them, the good life is on its way to them. "This is what we want to replicate in every part of this country where people can be assured that drought will never be a factor which they have to consider in planning their lives, in planting their crops, in managing the land which they have again," Harmon added. "We see them more and more, and if you look at all the IPCC reports, we know that they are going to become even more severe and more frequent. This is the reality we are faced with, whatever increase of temperature we get," Barbut told IPS. "We have been looking in NCCD at what we do on drought. Last year, I did propose a new initiative to the Parties because we noticed that only three countries in the world had a drought preparedness plan. Those three countries are the United States, Australia and Israel." "We launched an initiative last year and we've got the resources to help 70 countries with their planning. They are now in the process of doing that exercise and we hope that at the next Conference of the Parties in October, we will be able to report on those 70 countries and extend it to the rest of the world." More than 1.5 °C warming means nearly all of the planet's coral reefs will die, droughts and heat waves will continue to intensify, and an additional 10 million people will face greater risks from rising sea level, including deadly storm surges and flooded coastal zones. Most at risk are millions of people in less developed parts of the world, the panel warned.